Justice Neil Gorsuch has proved to be a conservative activist only a few days after he was nominated to the Supreme Court by the Trump administration. He has already slanted the law towards the right in matters of religion, gay rights, campaign funding, and gun rights. To his credit, Justice Gorsuch has not wasted any time to assert his conservativeness. 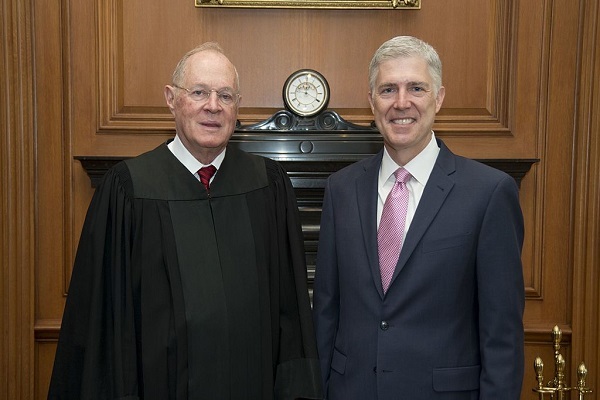 Unlike his predecessors, who are usually cautious during the beginning of their terms, he has no qualms about moving to the right of many of his colleagues, including his one-time boss, Justice Anthony M. Kennedy. In one of his more conservative judgments, the Supreme Court gave protection to Trinity Lutheran preschool with seven in favor and two against. This ruling, according to conservatives, recognized the complete authority of First Amendment. The Lutheran preschool case involved a program which Missouri state had made to offer playground resurfacing using shredded tires. The playground, after resurfacing, will be safer for children to play. The problem started when the Trinity Lutheran preschool, even when it satisfied all criteria made by the state to get a new playground surface, got rejected due to the Blaine-Amendment. The latter is a law which forbids funding to the Catholic schools. The Becket Fund, one of the religious conservative defenders and which filed friend-of-the-court on the case's behalf, in its statement said that the Supreme Court's majority opinion had made it amply clear that religious organizations cannot be blacklisted by the government simply due to being religious. According to Hannah Smith of Becket, "The Court's decision is good for kids and good for religious liberty. Trinity Lutheran was simply asking that the government play fair, treat churches equally, and help the preschool make its playground safer for children. Today's decision does just that." The senior counsel at her organization reminded that Trinity Lutheran simply asked the government to be fair and treat churches on an equal footing. The government must make playgrounds safer for the nation's children. Justice Gorsuch's conservative leanings does not end with Trinity Lutheran preschool verdict. He, along with Justice Clarence Thomas dissented when the Supreme Court threw away a challenge to the law in California regarding gun rights. The law regulates who can have a concealed weapon and take it to public places. The two pointed out that the core aim of 2nd Amendment is the right to carry weapons in public.